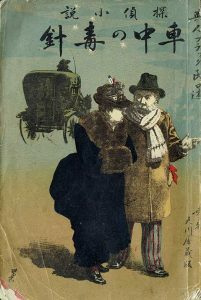 A Tokyo dealer in rare and antique books, has produced an amazing catalogue of publications, many of them devoted to sokkibon (stenographic book) versions of Henry Black’s narrated tales. 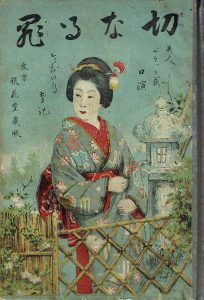 The catalogue is by Kagerou Bunko for the Melbourne Rare Book Fair (6th to 8th July) at the University of Melbourne. Top marks to Kagerou Bunko for finding these extremely rare examples of Henry’s opus and bringing them to Australia. 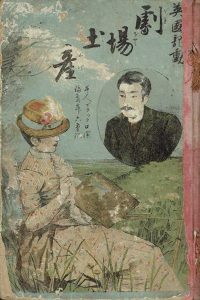 Other items in the catalogue relate to books published in Japan in the Meiji and Taisho eras by Australian residents in Japan. All of these books are rare and extraordinary gems. 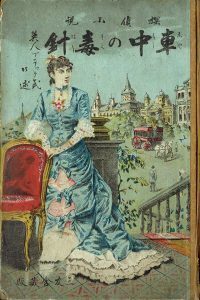 Here are some of the covers from the books by Henry.